You are here: Home > Explore and More! Welcome from all of us on the Nang Rong Project team! We are scientists at the <?xml:namespace prefix = st1 />University of North Carolina at Chapel Hill and Mahidol (pronounced MAH-hi-don) University, in Bangkok, Thailand. We have studied the population of Nang Rong District in Thailand for more than 20 years, exploring the people, places, and processes that are transforming this region and connecting it to the wider world. Over the next few pages, we will share with you some of our findings and give you the chance to do research first-hand just like us. You will get to think and discuss what it all might mean for your life, whether you live in North Carolina, New York, or Nang Rong. 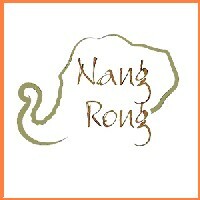 Our first task will be to get to Nang Rong. Let's start by learning more about where we're going. A quick note: This website has ten learning modules that are best in sequence, but feel free to skip from module to module if you prefer. If you do not finish them all today, stop back another day to continue learning about our favorite little part of Thailand, "The Land of Smiles."